Superbly researched and organized, China’s Naval Modernization: Implications for U.S. Navy Capabilities—Background and Issues for Congress by CRS analyst Ronald O’Rourke serves as an excellent resource from which to better understand China’s evolving naval capabilities and how the U.S. Navy can retain its edge in the face of the Anti-Access/Area Denial (A2/AD) challenge. The scope of the report is wide, with information given on a large variety of platform and weapons procurements. The breadth is matched by depth of analysis, as the author assesses the sophistication of individual systems, offers concepts of employment, describes potential conflict scenarios, and explains how naval modernization is tied to broader policy. The report is broadly organized into sections that cover Chinese platforms and weapons, American policy decisions responding to China’s naval rise, key U.S. Navy acquisition programs, relevant sections from the National Defense Authorization Act, and an appendix providing supplemental readings. Certain sections could be strengthened and new areas could be explored to further flesh out the expanse of information, but nonetheless this fact packed publication has plenty to teach. The detailed section on the People’s Liberation Army Navy (PLAN) is thoroughly informative on China’s maturing navy. Every surface combatant the PLAN fields is covered in the report. Each ship class’s capabilities are described along with their production history and projected numbers. Ships are contrasted with the capabilities of the vessels they are replacing, producing an appreciation of progress. 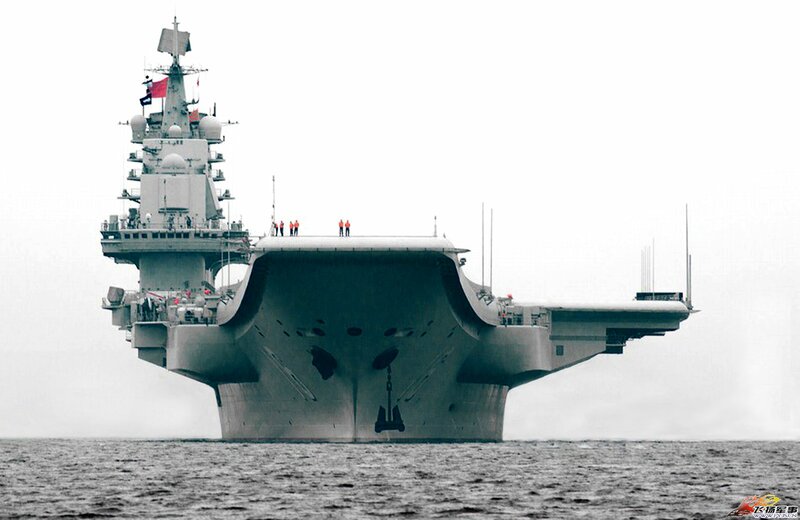 Furthermore, certain ships are highlighted for their ability to enable operations that were not feasible until recently, such as the power projection and humanitarian assistance missions that could be conducted by the new Liaoning carrier and Type 071 vessels. Extensive attention is devoted to the new carrier, including the significant limitations posed by a ski-ramp configuration and the critical research role the vessel will play in familiarizing the PLAN with carrier operations. Information is also given on upcoming and prospective designs such as the Type 055 cruiser, Type 081 amphibious assault ship, and Type 095 nuclear attack submarine. 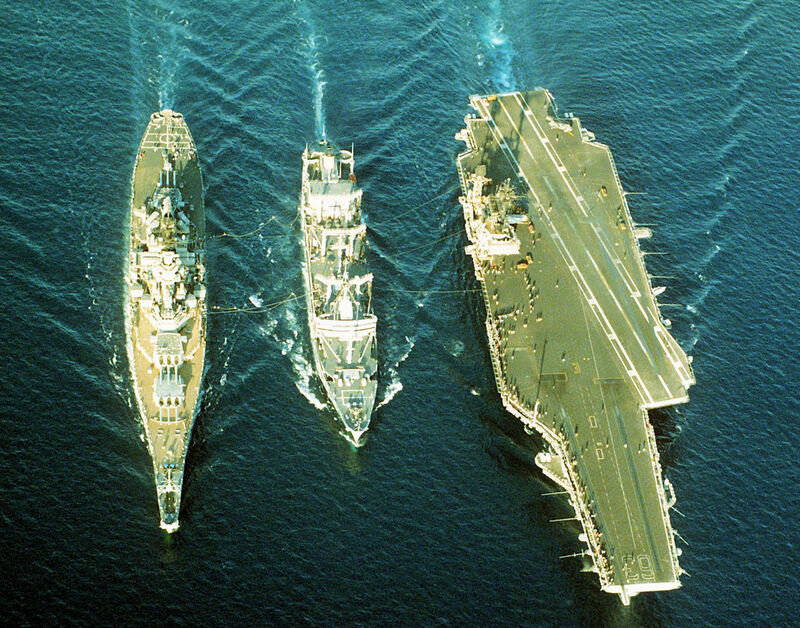 In total, these sections combine to produce a clear trajectory of naval modernization. The Liaoning, China’s first aircraft carrier. The vessel was commissioned in 2012, and is being used to familiarize the PLA Navy with carrier operations. The American perspective is captured as well. The report documents in numbers the changes being made to the Navy’s force posture and forward basing in order to operationalize the Asia Pivot. The Air Sea Battle concept is discussed along with the operational goal of disrupting kill chains in the electromagnetic spectrum. An especially insightful subsection describes the variety of nuances that should inform comparisons between the U.S. and Chinese navies, and naval forces in general. 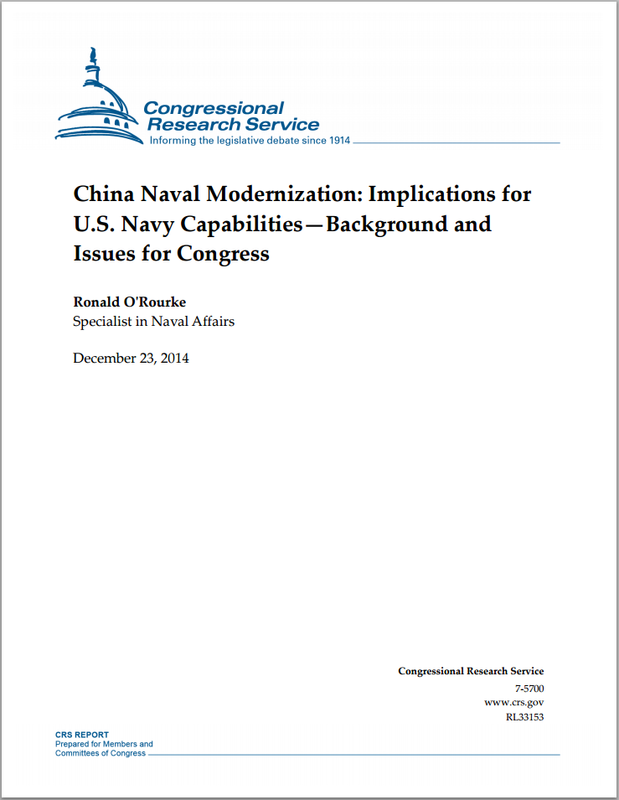 A unique strength of CRS reports, relevant legislation is included, providing key information into how Congress is influencing policy towards China and America’s own naval modernization. These sections in the National efense Authorization Act (NDAA), will help the reader better understand how Congress perceives the implications of China’s naval modernization, and which ongoing U.S. Navy procurement programs have Congressional priority towards meeting the A2/AD challenge. The NDAA also identifies certain knowledge gaps and requires reports be drafted in order to raise awareness, offering a glimpse into potential weaknesses and priorities. 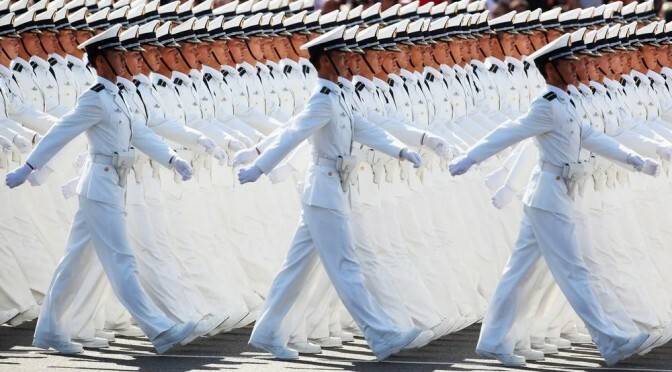 There are certain key points and gaps of information within the report that need to be addressed in order to fully appreciate the increasing modernity of China’s Navy and A2/AD abilities. For example, the author states “Changes in platform capability have been more dramatic than changes in platform numbers” but this is contradicted by ONI Officer Jesse Karotkin’s testimony that is included in the appendix: “China is implementing much longer production runs of advanced surface combatants and nuclear submarines, suggesting a greater satisfaction in their recent ship designs.” The tables provided by the author on yearly ship comissionings support this conclusion, marking a new and more confident phase of modernization that is gaining momentum. This trend highlights an aspect of modernization that requires greater attention, China’s increasingly formidable shipbuilding industrial base. China’s naval modernization can be subsumed under a greater A2/AD aspiration, and the author stresses that proper assessment of a potential maritime conflict includes understanding “maritime relevant capabilities that are outside their navies.” Information is included on land based platforms such as backfire bombers procured from Russia, UAV’s, ASBMs, and even EMPs. However, if it is the intent to draw awareness towards addressing the A2/AD threat as a whole, primary attention should be given to China’s robust cruise missile inventory, which is the most significant weapon system towards enabling land based A2/AD. Although the author takes note throughout the report which platforms can field ASCMs and LACMs, the ASCM section lacks information on the precise range and speed of China’s cruise missiles and their advantages relative to comparable weapons fielded by American surface combatants. There is also no information provided on LACM types and capabilities. The author writes “China’s naval modernization effort also includes reforms and improvements in maintenance and logistics, naval doctrine, personnel quality, education and training, and exercises.” Yet these topics received hardly any attention, and are arguably more critical to the maturity of the PLAN than capabilities borne from more modern platforms and systems. When it comes to logistics, underway replenishment vessels are the foundation of blue water power projection. The number of these vessels in a Navy’s inventory is indicative of broader policy and the priority placed on projecting presence far from home. China possesses eight such ships, with three constructed from 2012-2014. The five type 903A “Fuchi” class vessels are relatively modern, with the first pair of ships launched in 2004. 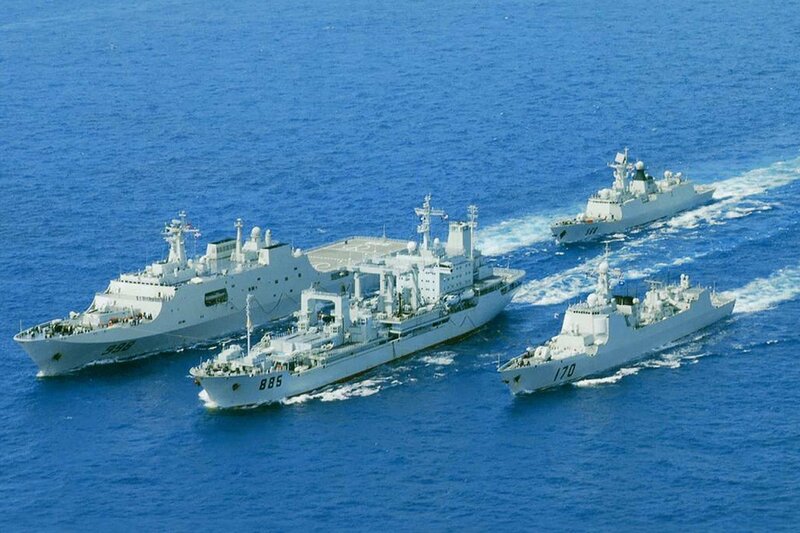 These ships may be among the most operationally experienced vessels in China’s navy. Since China began its anti-piracy mission in the Gulf of Aden in 2008 there have been twenty deployments, and a replenishment vessel has accompanied every task force sent. The PLAN also operates two type 904 general stores ships, which have delivered necessities to installations in the Spratly Islands. The PLAN is clearly committed to producing personnel with the high degree of technical proficiency necessary to operate modern warfighting platforms and systems, and such investments are already paying off in active operations. The PLAN is partnered with thirteen universities, and financial aid given to enrolled students was doubled to ten thousand RMB in 2009. Beginning in 2012, the PLAN launched programs partnering with specialized vocational schools from which high school graduates chosen through a competitive process would receive senior technical certifications following graduation, and be inducted as NCOs. Skill redundancy is achieved by requiring more technical proficiencies be acquired as an enlisted sailor rises in rank, resulting in units with greater shared expertise. In 2011, technical evaluation stations were stood up in an effort to standardize assessment of NCO performance, and operate at the level of local units. Author Ron O’Rourke writes “China’s naval modernization is a broad based effort with many elements” and China’s Naval Modernization certainly captures many of them. However, analysis of China’s military has been dominated by more observable material developments such as ship acquisition and weapons procurement. The trend has been made clear, and now it is as much a given for China to be continually introducing better platforms as it is for the United States. But these developments are subsidiary to more immaterial initiatives. Key elements such as doctrine, organization of forces, personnel education, operational experience, interoperability, and exercises are all more meaningful indicators of the growth of the PLA Navy than new equipment. And all of these areas have undergone their own changes in tandem with procurement programs. The challenges posed by the effective implementation and evaluation of these reforms need to be acknowledged, but this institutional development of the PLA Navy is what will ultimately best empower it to function as an enabler of policy. Dmitry Filipoff is an Associate Editor with CIMSEC.